Stephen Copper Beech thought he was an ordinary thirteen year old lad growing up in an ordinary British village until one fateful night, he found himself confronted by Digby Stumble-Down. Doubtless this came as a bit of a shock because Stumble-Down presented himself as an elf in charge of the Department of Censors and he was demanding - not asking, mind you - demanding that Stephen exercise his right and obligation as a half-elf who had attained the age of elf majority to place his vote for the current election to the Council of Elders. Stephen didn't know it yet but he would soon find out that he was very much between a rock and a hard place. After his human mother tells him the true story of his elven father, Stephen travels to the world of the elves and quickly comes to realize just how much trouble he's really in. He discovers that he is the grandson of Lord Rufus Copper Beech, a member of elven royalty and the key to breaking an impasse at the highest levels of elven government. But to his dismay, he also realizes that voting for one Council candidate will result in the destruction of his human world but voting for the other will result in an all-out apocalyptic civil war within the elven world that he has just discovered is his ancestry and birthright. "The Council of Elders", first novel in a planned trilogy entitled "The Halfling Chronicles" is a wonderfully entertaining young adult fantasy. 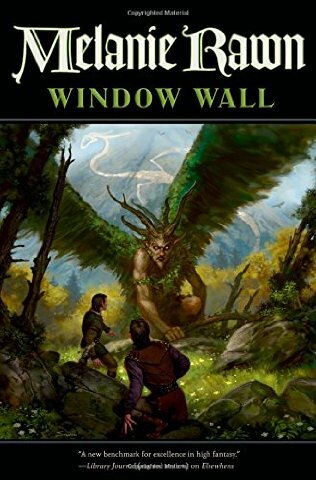 Author Neil Harris compliments his fellow authors in the fantasy genre by borrowing and cleverly combining and extending upon a number of older ideas into a single new novel that is anything but derivative. Harris draws upon the modern cosmological Many Worlds theory to set up what he calls "Otherwhens" - multiple parallel universes and worlds, one of which is Stephen's human world and one of which was his father's elven reality. Jeremy Postlethwaite, Stephen's inseparable best friend reminded me immensely of JRR Tolkien's Samwise Gamgee who was equally inseparable from his best friend and boon companion, Frodo Baggins. When I read of Lauren Black Willow - a pretty young Elven girl and master swordsman who is almost the equal of the master she is in training to replace - I couldn't help but think of Hermione Granger, Harry Potter's reluctant friend and ultimately a romantic figure in his life as the series wound its way to a climax. Lovers of the fantasy genre of all ages will cheer for Stephen as he grasps the reality of his existence in two different worlds, comes to grip with his responsibilities and duties as a member of an elven royal family and brilliantly finds a way to extricate himself from the uncomfortable squeeze between that proverbial rock and the hard place. While "The Council of Elders" is a perfectly enjoyable stand-alone novel, there are obviously unresolved issues that will serve as a jumping off point for the novel to follow which, I don't mind saying, I intend to seek out as soon as possible.